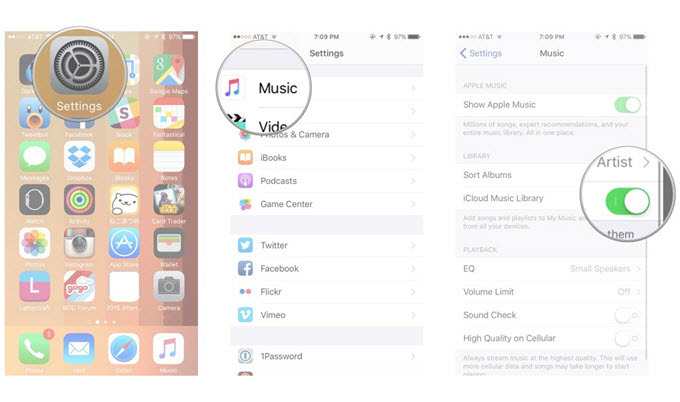 There are many reasons why you need to migrate your music library on iPhone to iTunes. Maybe, you bought a new model of PC or wiped off all your data on iTunes and have it reinstalled. Or probably, you simply want to backup the audio files stored on your mobile phone. Surprisingly, iTunes doesn’t allow you to move files from your iOS devices to its library unless you purchased them in their store. 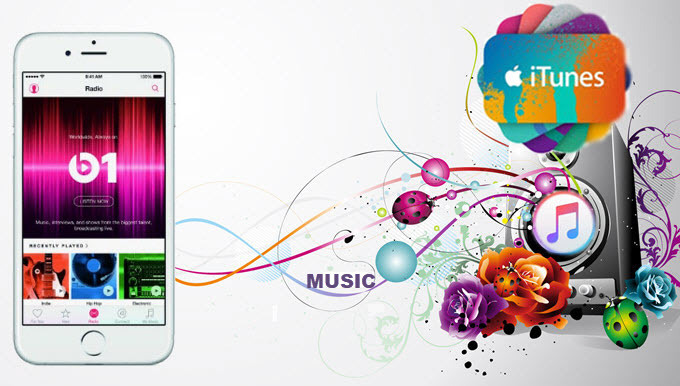 Therefore, you need to find out a different method in order to transfer music from iPhone to iTunes. Proceed to the following part and check out the best applications recommended to you. Navigate to the main site of Apowersoft on your browser and search for ApowerManager. Download and install the program on your computer. Once the installation has been completed, launch it. Plug in your lightning cable to your computer and allow access on your iPhone to establish successful connection between your devices. 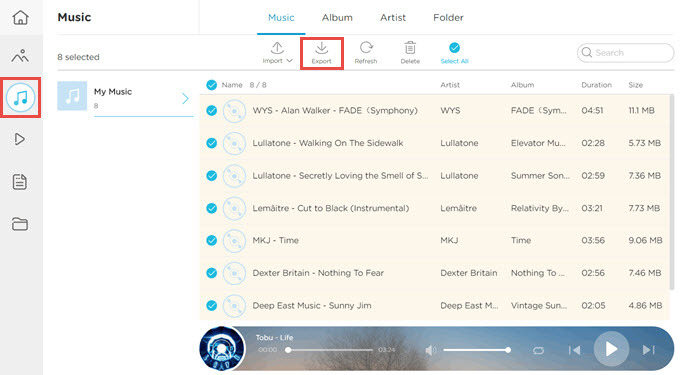 From the main interface of the app, click on “Music” or go to “Manage” > “Music”. You can now see all the audio files on your phone. Tick the songs that you want to transfer and then click “Export”. Set the location of your files and hit the “Ok” button. Open the folder where you placed your transferred files, and then drag and drop it to iTunes to save it to the program. Aside from those functions mentioned above, this also serves as good software when you need to backup or restore your mobile phone whether it’s Android and iOS. Plus, you may reflect your screen, take screenshots and directly store them on PC or devices. For a wireless way to access your files on iPhone, you can utilize AirMore. It is a web-based application designed to share files from smartphones to PC and vice versa. Thus, you won’t need to install and run additional software on your computer. This is compatible with almost all browsers including Safari, Chrome, and Mozilla. In terms of its transferring capability, AirMore allows one to import and export files without limitation at a quick speed. All of these are for free. So, let’s look at the instruction to move music from iPhone to iTunes using this. Download and install the mobile version of AirMore on your iPhone. Visit AirMore web and click the “Launch AirMore Web to Connect”. Using your phone’s camera, scan for the QR code to establish connection. Navigate to “Music” tab and check the files you want to transfer. Click on the “Export” button to move your songs to PC. Find the transferred files on PC and then drag and drop it to iTunes. In this way, you can save iPhone files to iTunes. Another way to sync iPhone music to iTunes is through iCloud. This is a cloud storage developed by Apple Inc. It gives users the means to preserve or keep their mobile data on servers, so it can be accessed on different platforms like Windows PC, Mac, and iPad. With this, you can automatically access your files even without opening your iPhone. To know detailed steps, proceed to the next part. Start by clicking “Settings” > “Music”. From here, enable “iCloud Music Library”. Upon turning it on, you’ll be prompted by a notification. If you have music on your iPhone, you can choose “Keep Music”. This will then add the music stored on your iDevice to your iCloud account. On the other hand, selecting “Delete & Replace” will remove all your audio contents on iPhone and replace it with the music from your iCloud. Once done, open iTunes on your computer and go to “Preferences”. Under “General” tab, toggle “iCloud Music Library” on and wait until the syncing is done. 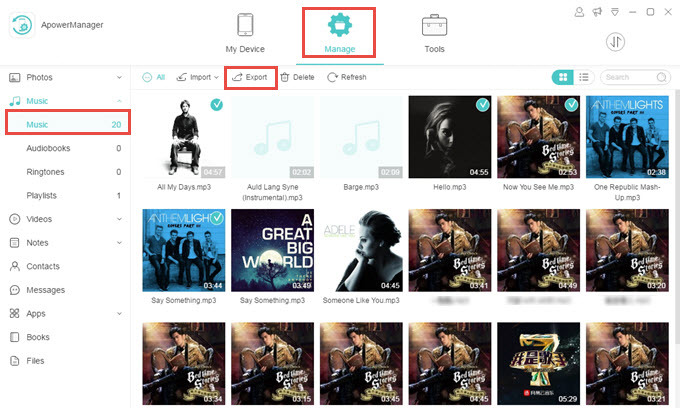 The above tools can effortlessly copy songs from iPhone to iTunes. However, ApowerManager provides you a simple yet effective means to share mobile contents to your computer. Moreover, this has additional tools that can be useful for both Android and iOS.